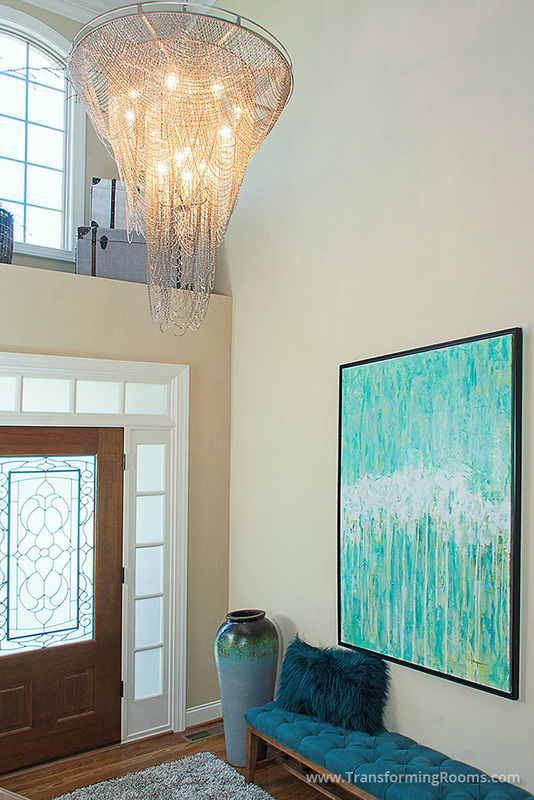 This Winston Salem foyer was easily transformed with large abstract art and a unique chandelier. Our clients requested fun and unique! The homeowners were thrilled we were able to make the room colorful and functional without the need to repaint this two story space. 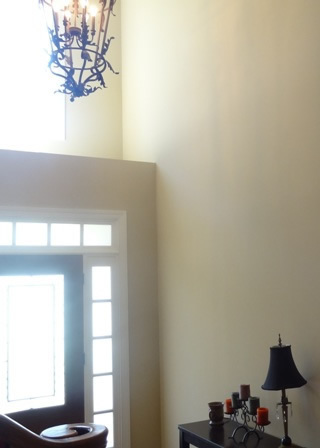 It's amazing how our light fixtures transform a space!